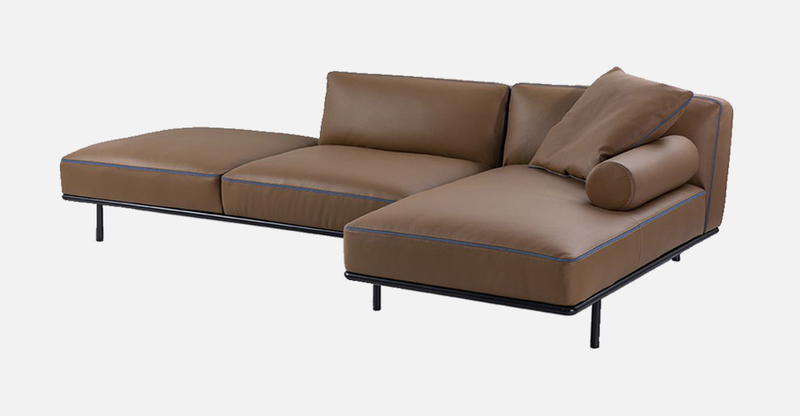 Inspired by the vintage atmosphere of the 50s, Cap Martin Sunset is a modular seating system that can be con­figured in different layouts thanks to its numerous elements: two and three-seat sofa, end, central and corner elements, chaise longue and pouf. 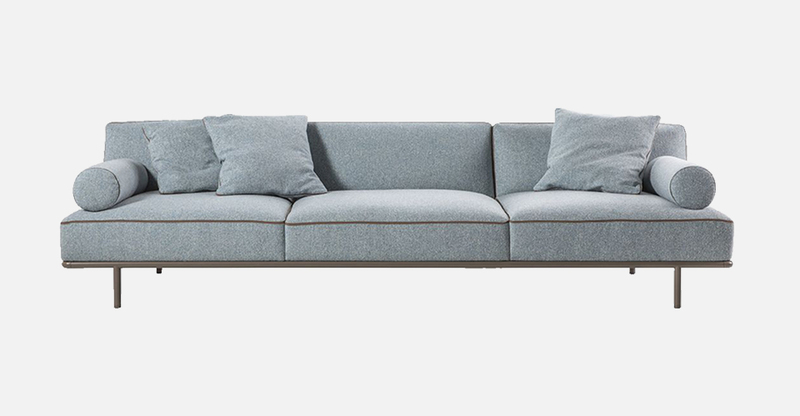 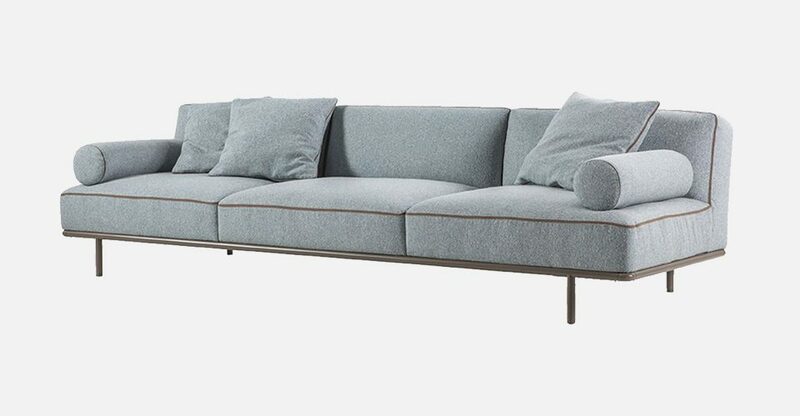 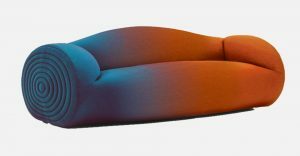 The elegance of the seats is underlined by the armrest with invisible zipper and by the double grosgrain stitching, enhancing the excellent sartorial look of the sofa. 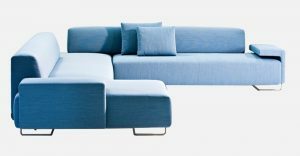 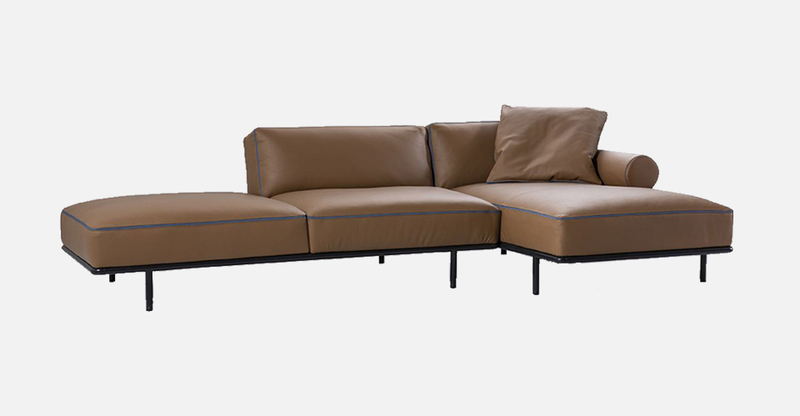 The loose cushions, with removable upholstery in leather and fabric, give the collection a touch of informality, while the thin tubular metal structure makes the seats extremely light. 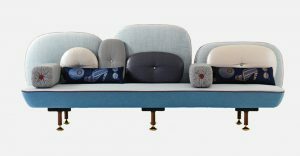 The seating system can be completed by a service table, proposed in three different dimensions, with polish chromed or matt painted metal structure and top in different colors of ash or in the new fi­nish with massive wood chips.